Listen to powerful, lively sound. 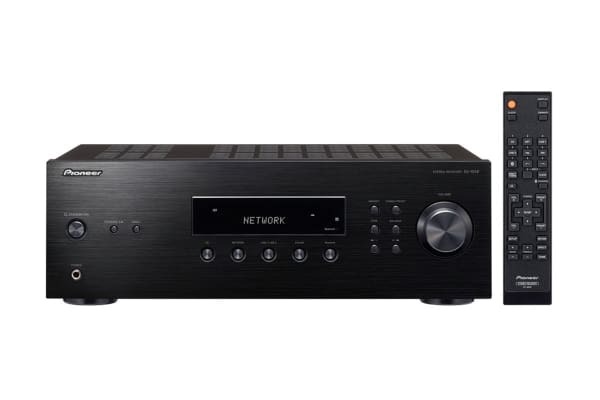 The Pioneer Stereo Amplifier’s housing in the classic hi-fi format features an integrated Bluetooth receiver in addition to the phone input and four line-in jacks, a tape output and the radio component. If you do not have a subwoofer, the Pioneer Stereo Amplifier can counteract thin sound with its selectable Ultra Heavy Bass sound tuning. 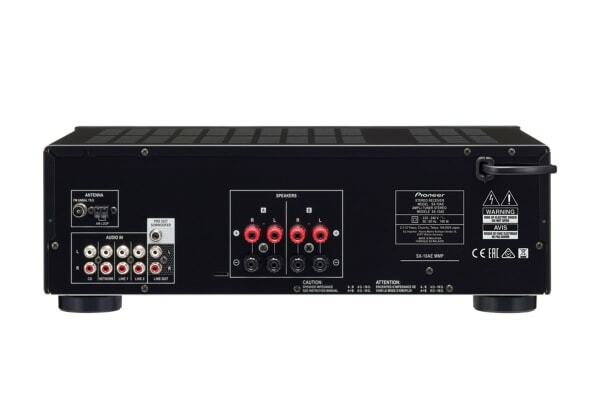 With the source direct circuit and its two powerful 100 watt output stages, the amplifier that can be controlled remotely is a pure joy in purist mode. With the integrated Bluetooth receiver, you can easily send your favourite songsfrom any app to the system from your smartphone or tablet. Added flexibility is provided by A/B speaker switching that allows you to connect to independent pairs of speakers to solid screw terminals for selection, a headphone connection and even a subwoofer output.